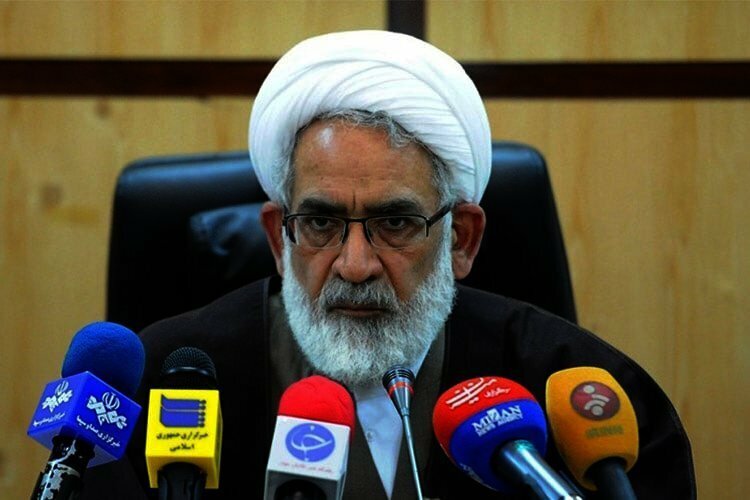 Iran’s Attorney General said today that publishing “fake” news on the floods was a security violation adding that those who published such news would dealt with as “disrupting the security of the country”. “In the first stage, the sources of the publication of false news should be identified and when identified, they will dealt with,” the cleric added. According to the ISNA state-run news agency, Interior Minister Abdolreza Rahmani Fazli had complained about reports on social media showing government incompetence in dealing with the flood in the northern province of Golestan. Colonel Ramin Pashaie, the Social Deputy of Iran’s FATA (Cyber Police) said that the “police would deal with those who spread rumors about the recent floods on social media”. He said that these rumors would “lead to the disturbance of public opinion and peace of the society”. “We have asked all provinces to monitor the internet and if they witness any rumors or content that disturbs public opinion or social peace, to quickly carry out necessary measures to deal with the publishers once identified,” he added in comments carried by ISNA. He also asked the public not to heed videos on social media and to only follow the news from state-run news agencies. This is while reports on the flood that hit 25 province in Iran including videos and images of ravaging floods in the southern city of Shiraz can only be found on social media platforms uploaded by eye witnesses. The Iranian regime has even censored the real number of casualties. While eye witnesses and locals say that more than 150 people were killed when floods hit Shiraz’s historic Quran Gate, the regime has announced that only 19 people lost their lives.